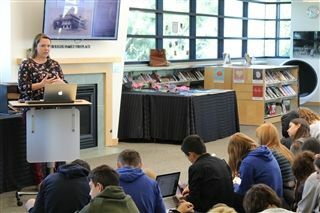 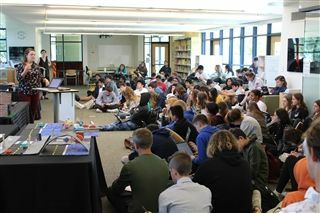 On April 10, Windward's History and English departments came together to present our 10th Grade class with a collaborative learning exercise. 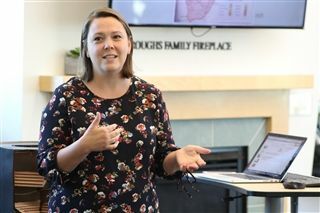 Looking to give English students some cultural insight before they begin "Things Fall Apart", a novel by Nigerian author Chinua Achebe, History Teacher Regan Buck Bardeen gave an introductory lecture from her perspective as an expert on Nigerian history. 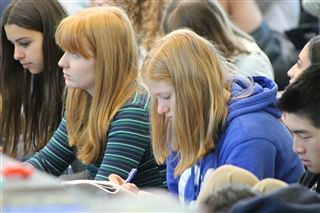 Her discussion went over the cultural landscape of the era, the challenges the book faced in getting printed, and the impact the book had upon its release.